If we haven’t been able to resolve your concerns, you can make a complaint. We will investigate and respond as soon as we can. We might ask you to meet with us to talk through your concerns. Where we need to put things right, we will. Anyone who is receiving, or has received, NHS treatment or services can complain. You can complain for yourself, a friend or a relative, but you must have their permission. If the patient is deceased, young or very ill then you need consent from the next of kin. Fill in the complaints form here and send it to the above address. Purple Points can be used by our inpatients or their loved ones to raise concerns or compliment staff whilst they are still in hospital. To find out more click here. the date and time that the event occurred. You should make your complaint as soon as possible and not more than twelve months after the events. This is because it is easier for us investigate while events are fresh in people’s memories. We may be able to look into things which happened more than twelve months ago if there is a genuine reason why you could not make a complaint sooner. I am worried that making a complaint will affect my care. Will the staff treat me differently? No. All of our staff are encouraged to be open and respond positively to complaints. Making a complaint will not have a negative effect on your care. If you have any concerns about this, please talk to our PALS team. Where can I get help in making my complaint? 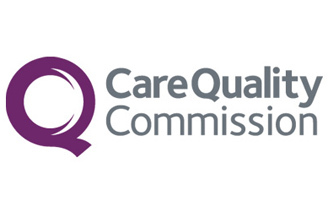 The Care Quality Commission (CQC) is the independent regulator for all health and social care services in England. They can be contacted for information and advice. You can also give them feedback about your experiences of health and social care services, although CQC cannot investigate individual complaints.